Let’s get FANCY up in here! 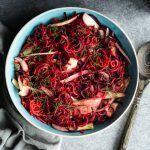 Ruby red and elegant, this Spiralized Beet and Sweet Potato Noodle Salad looks much more complicated than it really is. Today’s salad actually contains only a few root vegetables with a simple balsamic vinaigrette. 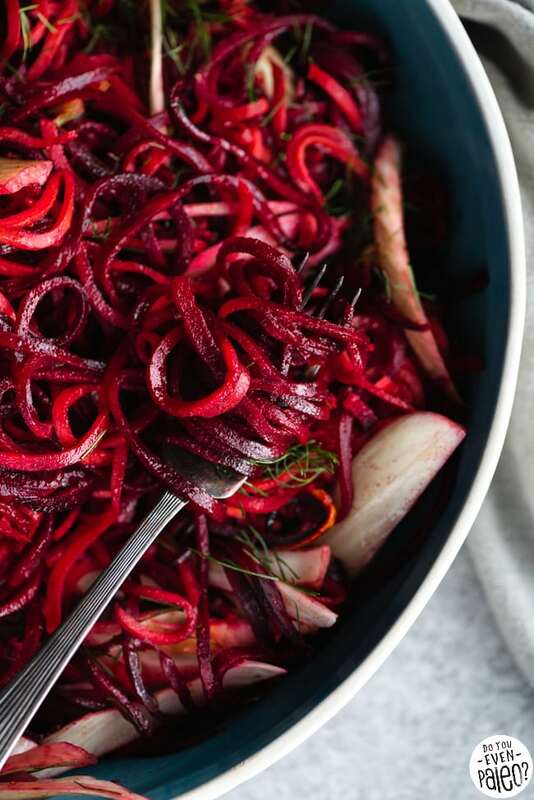 Bonus: this spiralized salad is also paleo, gluten free, vegan, and Whole30 friendly. How do you make these wonderful, delicate veggie noodles? 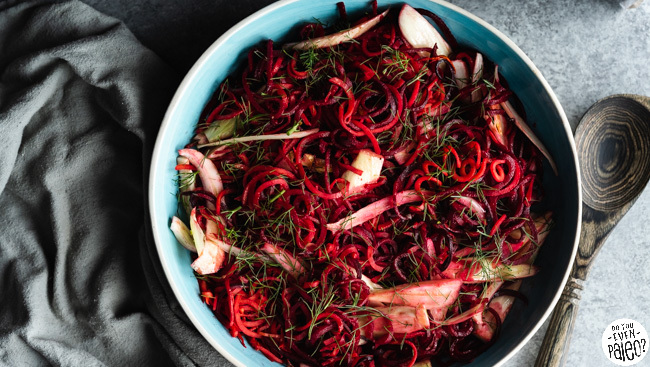 You’re going to need a spiralizer. Unfortunately, I just don’t see this recipe working out without one. 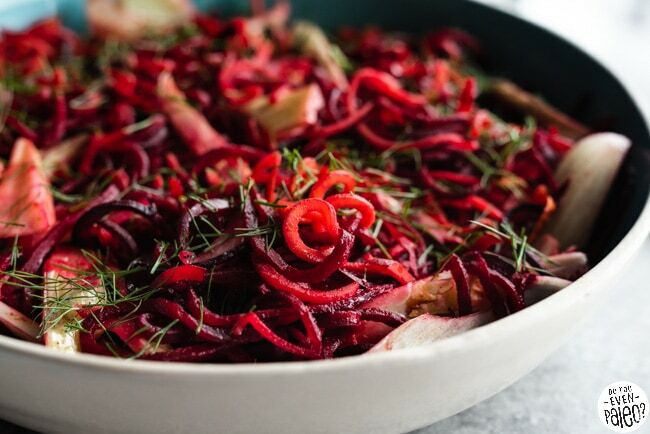 Steaming or roasting the beets and sweet potatoes won’t yield the same results. 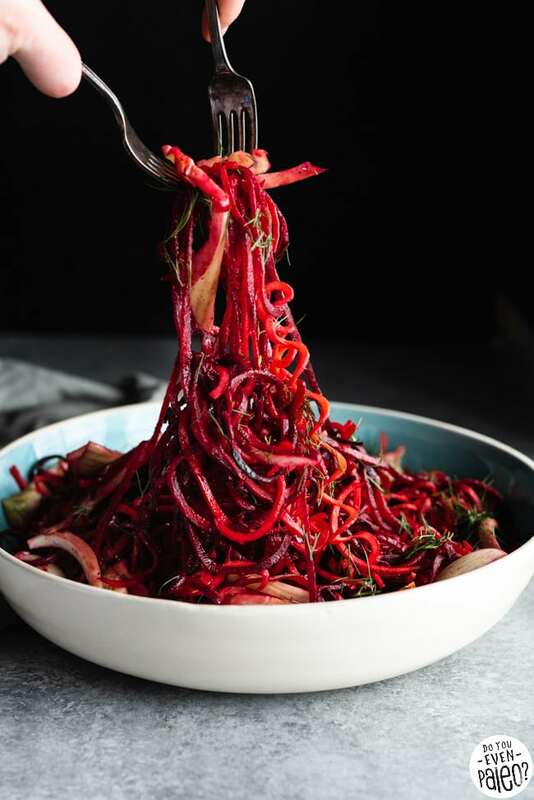 So pick up a spiralizer for this recipe if you don’t already have one. Don’t think you’ll use it? I was worried about the same thing. 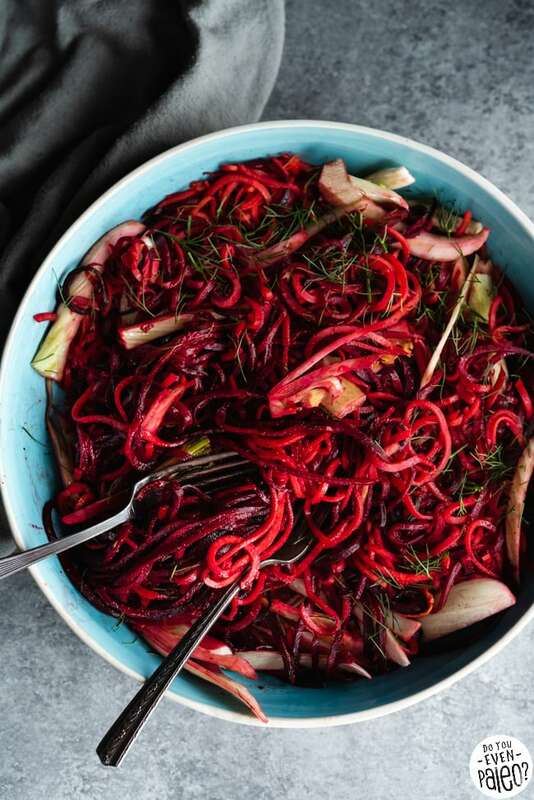 But now I use it all the time for zucchini noodles, sweet potato noodles, and more creations like this beet and sweet potato noodle salad. Since spiralizers got pushed into the foodie spotlight a few years ago, a multitude of options are available online. I haven’t tried them all, so I can’t ultimately say what the best spiralizer is. 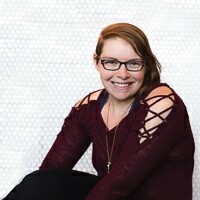 But, this is the one I have and I’m crazy happy with it. It’s got 7 different blades to make different kinds of veggie noodles. Cool. I like variety! The suction bottom that seals it to your countertop. Seriously, it works and it’s hard to move unless you “unlock” it. 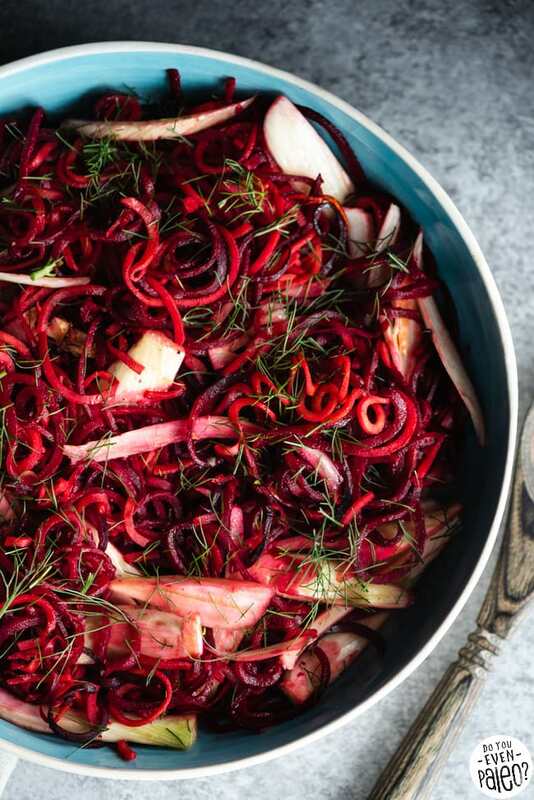 Most spiralizers should provide you with instructions on how to spiralize different veggies, but here are my quick and dirty instructions for beets and sweet potatoes. First, scrub the beets clean and peel the sweet potatoes. Then, chop the ends off of the veggies so you’ve got flat circles on each end. Cram one end onto the blade and push the spiralizer handle into the other end to secure the veggie. Spiralize away, using a kitchen shears to periodically snip the noodles so they’re a more manageable length. I can’t emphasize that last part enough. When I first started spiralizing, I thought the crazy long veggie noodles were cute. But after a while it gets old. There’s a reason pasta noodles aren’t endlessly long! Snipping the veggie noodles as you’re spiralizing is the best way to put a cap on the situation. Don’t skip it! They’re there. 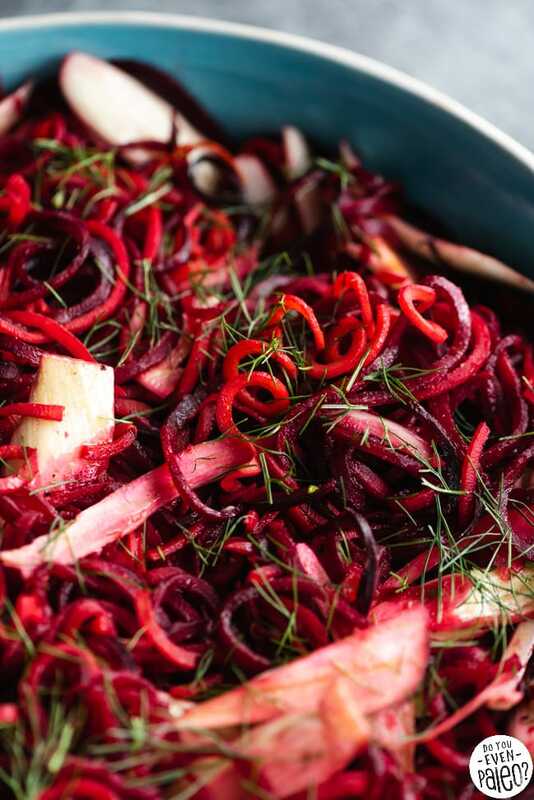 Essentially, the beets stain the sweet potato noodles so all the veggie noodles end up with that ruby color. 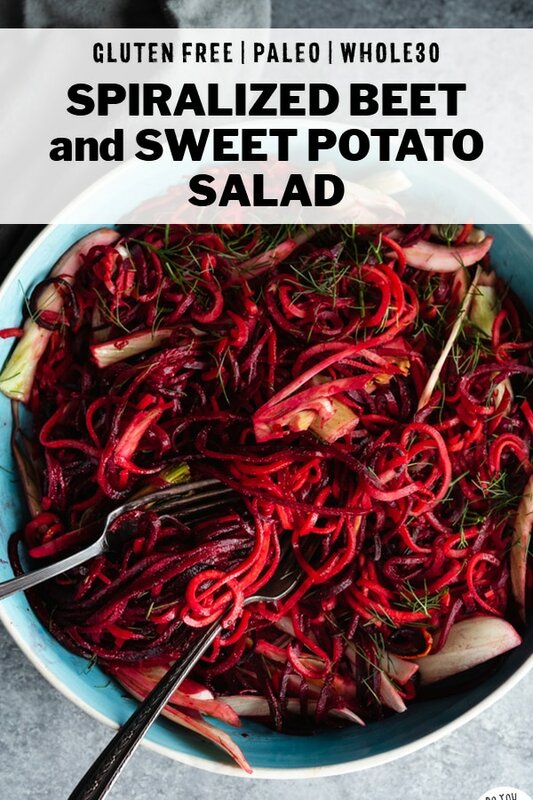 If you wanted to get around that, you could saute the beet noodles and sweet potato noodle separately. That way, you’d at least retain the orange sweet potato color until you toss the whole salad together repeatedly. 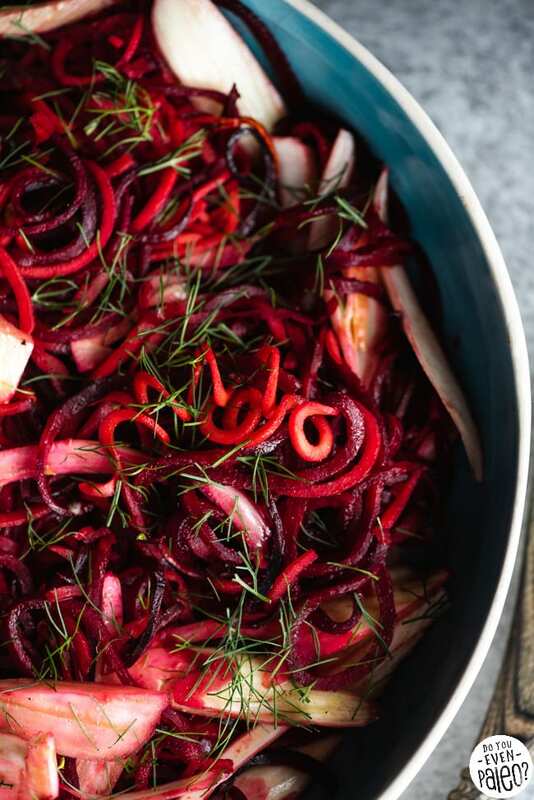 But I’m all about making this as easy as possible, and that means throwing the beet noodles and sweet potato noodles in the skillet at the same time. 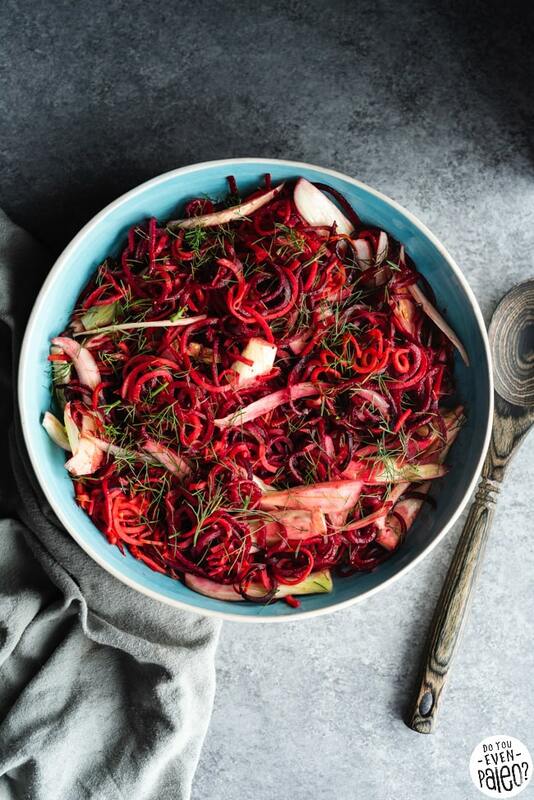 Vibrant and nourishing, this Spiralized Beet and Sweet Potato Noodle Salad is definitely a showstopper but is easy to prep! Scrub beet and trim off the top. Set aside. Peel the sweet potato using a straight blade vegetable peeler. 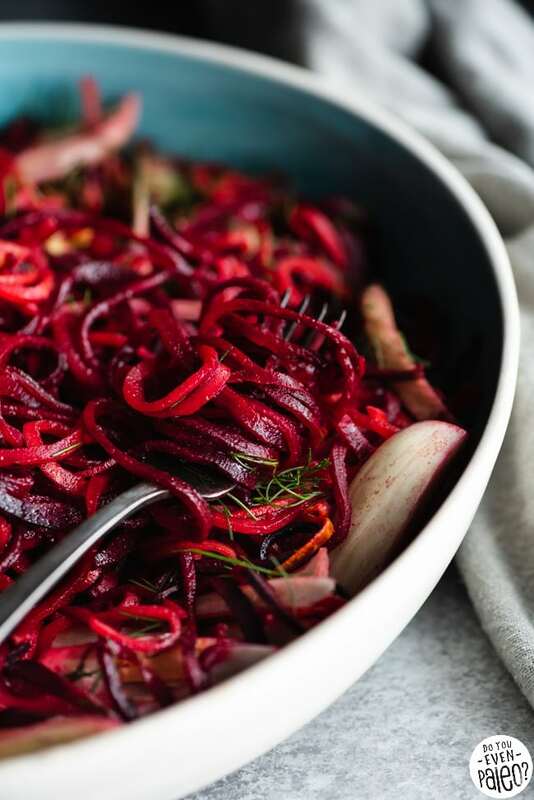 Use the spiralizer to to spiralize both the beet and sweet potato. Use a kitchen shears to cut the vegetable noodles into manageable lengths. Heat 2 tablespoons olive oil in a skillet over medium-high heat. Add the veggie noodles and cook for 5 minutes, using a kitchen tongs to constantly toss the noodles to prevent sticking. Work in batches, if necessary. Transfer cooked noodles to a large bowl and set aside. In a large measuring cup, combine balsamic vinegar, lime, minced garlic, mustard, sea salt, black pepper, and remaining 3 tablespoons olive oil. Whisk until emulsified. Add the fennel and vinaigrette to the veggie noodles and toss to combine. Serve immediately or store in the fridge for up to a week. Don't subscribe All Replies to my comments Notify me of followup comments via e-mail. 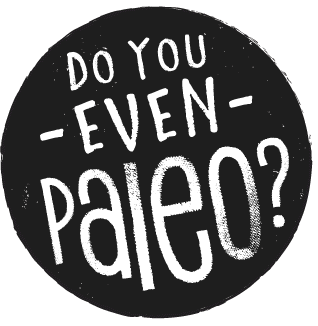 You can also <a href='https://www.doyouevenpaleo.net/comment-subscriptions/?srp=7002&srk=87505361eee98908ddf6ccb8681f50d6&sra=s&srsrc=f'>subscribe</a> without commenting.